Not content to create small intelligent robots that will eventually destroy us all, Boston Dynamics has now created a large bird-like automaton for use in the workplace. The robot, which is a new version of the ‘Handle’ bot first revealed two years ago, has a set of wheel-equipped legs and a neck-shaped arm sporting suction cups. The updated model is able to move objects from point A to point B using an “onboard vision system” that can identify items through a QR-like code. Altogether, Boston Dynamics says the neck can lift objects that weigh up to 15kg (33lbs). While bearing a load, the Handle’s neck will be stabilized thanks to a larger base than its predecessor. 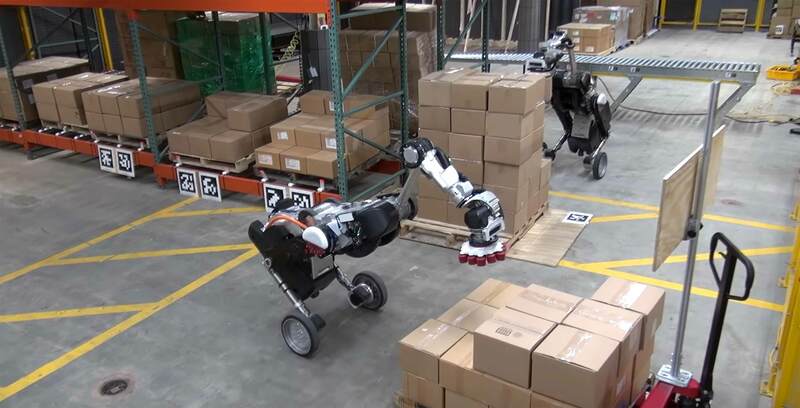 Based on a video provided by Boston Dynamics, the Handle can even stack objects in near-perfect alignment with one another. It remains to be seen what other scary animal-like robots are in the works at Boston Dynamics.